Manage information posted onto your social media – Although you should not be held accountable for guest posts that violate HIPAA regulations, healthcare practitioners are subject to a different set of standards under the healthcare privacy realm. To be on the safe side, delete information that is protected or considered private under HIPAA. To avoid compromising situations, if any, post your policies directly on all your social media platforms. Establish staff roles – Your staff members should know their roles in regard to your social media presence. Assign each member of your online team specific roles and responsibilities when it comes to protecting patient security on social media. Establishing specified duties will ensure compliance with HIPAA regulations and help you mitigate any issues that could potentially arise down the road. Consult a HIPAA lawyer – While you may be well versed in the world of HIPAA compliance, there are many details to consider that are unique to your organization. Meet with a HIPAA lawyer to discuss the specifics of your online strategy and make sure all the nuances are compliant and accounted for. All things considered, it is important to be cognizant of the information disseminated through your social media channels. While the online platform can be a very powerful tool when used to spread knowledge and awareness, and to communicate important healthcare messages with the general public, you are still responsible to comply with HIPAA regulations. 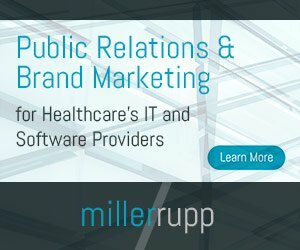 When creating a HIPAA compliant social media strategy, keep the following in mind: always respect patient confidentiality; inform your patients about the risks associated with communicating online; always manage information posted onto your social media platform; ensure that staff members are aware of their roles online; and consult a specialist.